Here we read the disturbing words of Festus who, having arrived in Caesarea, found Paul in prison without any just cause or accusation. Just man that he is, he is faced with two illustrious guests on the question and seeks a reasonable solution to Paul’s situation. But Festus does not know that in this case, reasonableness has no place. 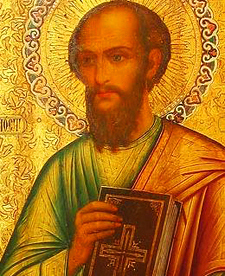 Paul, who has already traveled the whole known world, arriving clandestinely in many cities and leaving behind him foundations of new communities, must arrive at the heart of the empire, at Rome. This time it will not be secretly, but in a condition to be able to speak directly with Caesar, the emperor. The obvious folly and evident injustice win and create the way for the Word to enter into the DNA of history, of the thoughts and places of the times. The strength of Paul and the powerful Spirit in him, build this unique opportunity from an apparent situation of disadvantage.